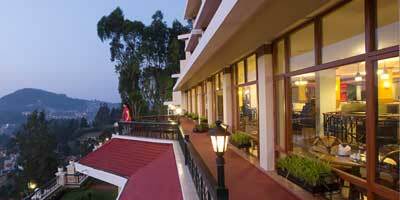 Ooty Holiday Packages from Ooty Planet, a division of Holidays DNA: Ooty, a hill station which is quite appropriately called as "Queen of hill stations", is not unknown to many. Not just nature lovers but also for adventure seekers and those looking for some calm and soothing time, Ooty tour is the one of the best possible options. And the best possible way to spend your days without much hassle and problems is to opt for suitable Ooty holiday packages. There are various kinds of holiday packages for Ooty available in the market which tourists can opt from catering to wide range of budgets and requirements. For a perfect vacation, along with a good destination, tourists also need to be equipped with detailed and updated information on various aspects related to Ooty. To have a vacation in the way you want, you also need access to all the facilities needed for the trip. Ooty Holidays Packages cater to wide range of purposes of visits like Honeymoon packages, family tour packages, adventure packages, business tour packages, etc. At Ooty Planet, which is a division of Holidays DNA, we offer our clients with customised Ooty holiday packages as well that caters to their specific requirements and purposes. There are holiday packages varying with different duration of Ooty trip and budget. We ensure that our clients best of the holidays packages available in the market and in bets possible discount. These packages offered by us have been planned by our experts who have given maximum importance kept customer convenience and benefits. Ooty holiday packages by Ooty Planet and Holidays DNA offers wide range of options varying from different kinds of accommodations to trip to popular tourist spots to varied choices on transportation modes (airway, railways and roadways) and booking of the tickets, etc. We also suggest our clients with the most appropriate tour packages depending on needs. Clients are also provided with detailed and up to date information on aspects like the best time to visit the hill station, activities to do, places for eating out, commuting within the hill station, expected behaviour and culture of the place, etc. Along with this we at Ooty Planet also bring to your experiences of other travellers who offer their suggestions and outlook of the place. 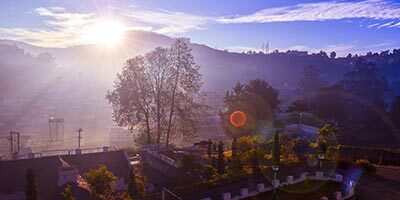 The hill station of Ooty offer amazing holidaying options to each and every one, With pleasant climate through-out the year and lush greenery around, Ooty tour makes for a refreshing break from the usual crowd and concrete jungles of cities and towns. Usually a calm and serene place, Ooty offers various exciting activities such as trekking, hang gliding, angling that includes Goad Trout, Carp and mixed water. Some of the popular sightseeing places during your Ooty tour are Dolphin's Nose, Hidden Valley, Ketty, Wellington's Golf Course, Sim's Park, Lamb's Rock, Law's Falls, Second World War Memorial Pillar, in Bellikal, places like Kalhatti Falls, Bison Valley, Bellikkal Lake, etc.